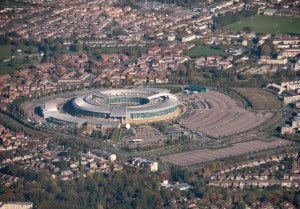 A new report reveals that a 2007 deal between the United States and United Kingdom gives the National Security Agency (NSA) permission to spy on UK citizens who were never suspected of any wrongdoing. This latest revelation, outlined in documents leaked by Edward Snowden, isn’t all that surprising given the tight-knit relationship between the intelligence agencies of the U.S. and UK. An NSA memo reveals that a 2007 agreement gave the agency the green light to “unmask” and store personal data on British citizens that was previously protected, the Guardian reports. The data is placed in databases and made available to the U.S. intelligence and military community, according to the memo that was also reported on by Channel 4 News.